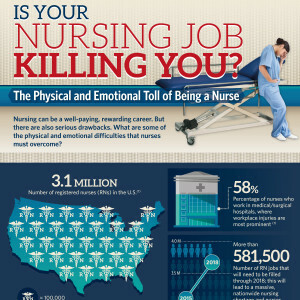 Is Your Nursing Job Killing You? Nursing can be a well-paying, rewarding career. But there are also serious drawbacks. What are some of the physical and emotional difficulties that nurses must overcome?